As the subject states, I’ve been trying to identify an application that will allow me to rotate my background images (wallpaper) on the lock screen specifically. 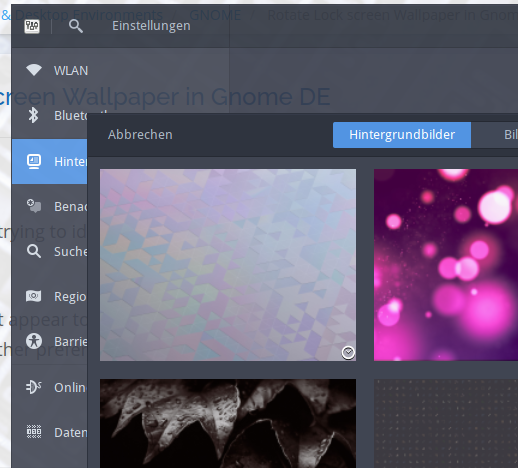 I tried using FEH and it does not appear to be rotating my background images at all under Gnome DE. I later read that FEH does not work under GNOME DE. Is there another preferred application I should be using for Antergos / Arch install for rotating wallpaper images for the lock screen only?